Here’s a film I had no idea about. For most of the films on my list, and the few new ones I’m discovering along the way, I have a fair idea what the basic premise of the film is. Is it a trench film? Aviation? Submarine? Gallipoli? Eastern Front? But for this one I had nothing. Upon firing it up for the first time I noticed instantly, thanks to a long and rambling (Star Wars style) Opening Crawl, that the film is about counter-espionage. Minus 5 points. My shoulders dropped slightly at this point. Spy films always end up confusing me because the writers try just a little bit too hard. There’s always too many twists and turns. It took me another five minutes to realise it was written from the German perspective which always piques my interest levels a bit. Plus 5 points, even stevens, and then probably another couple of minutes after that I realise the lead character was Fraulein Doktor. Plus 50 points. Fraulein Doktor is someone I knew nothing about until I recently watched the snappily titled ‘Fraulein Doktor’ (1969). Turns out she’s the lesser known but more enigmatic Mata Hari-esque female spy of choice for the Great War. When I reviewed ‘Fraulein Doktor’ I pointed out that as opposed to Mata Hari there is a lack of information available about the Eponymous Fraulein. She seems to have been good enough at her job so as not to leave anyone around to tell tales on her. This is an absolute boon for scriptwriters who have carte blanche to go anywhere they like with her story. Apparently the writers here reined it in a bit because the real Fraulein was still alive in 1934. Anyway, back to Stamboul Quest. 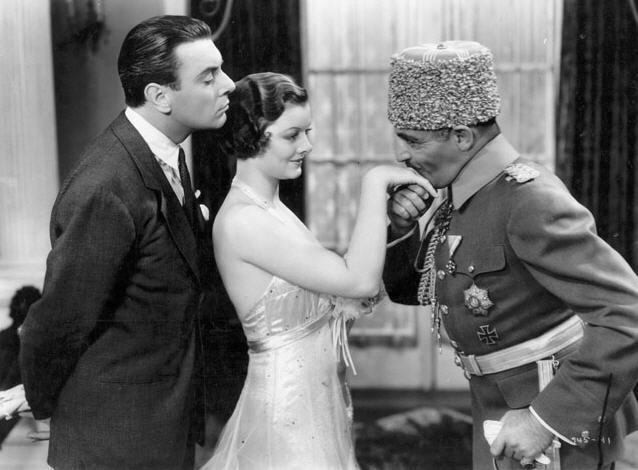 The plot is simple enough, it’s 1915 and the Germans don’t trust Turkey’s Ali Bey. Through their spies they’ve learned that there are imminent plans for the Brits and her allies to open up on Gallipoli and they (the Germans) need to know that their best interests are being looked after. Fraulein Doktor is dispatched with an American guy she’s just befriended to Istanbul to undertake some spying activities. It’s got the usual problems that I’ve come to expect in all films of the era. The sound quality is scritchy and all top end, most scenes feature people walking into rooms, having conversations and then leaving the room again and the dialogue is stilted and heavily. Punctuated. With. Full. Stops. If you can get past that (and I just about can, only just though) then this is actually a decent enough film. There are hints of humour in the dialogue including a laugh out loud moment that I wasn’t expecting. There are attempts to link it to real world incidents. Early on the Fraulein tells her spymaster that Mata Hari has fallen in love with a Russian which poses a risk to the Germans. This is basically the entire plot of ‘Mata Hari’ (1931). Of course, as a Spy film there are a few Q Branch moments. There are hidden doors in walls, false teeth holding tiny pieces of information. The Fraulein has important information written on her clothing or her skin using some form of invisible ink that her spymasters can retrieve by using some unexplained science. The camera zooms in near the end for a close up on her shoulder as the text reveals itself on some magic paper. Camera trickery does the rest. To the modern eye it looks rubbish, but for the era it was probably cutting edge. So we’ve got the requisite number of twists and turns, some sciencey stuff, a love story and all the other bits and bobs we expect. Its main plot is very similar to ‘Mata Hari’ which was knocked out by the same studio three years before but overall, I liked it. I think. 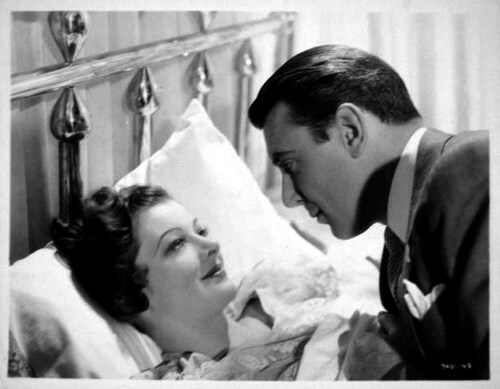 Myrna Loy does some good stuff in the lead role and is stunningly beautiful. 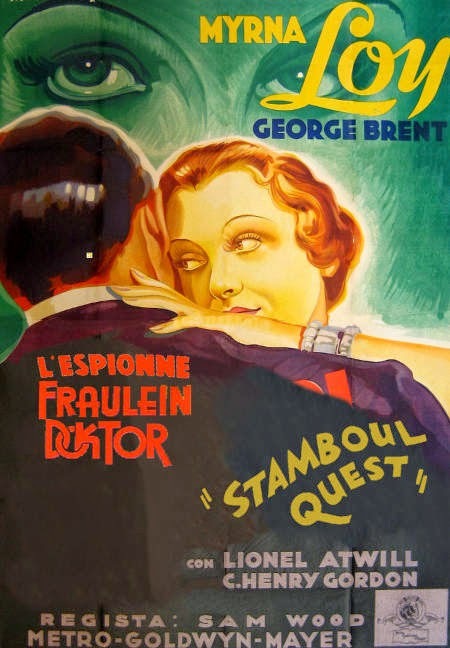 George Brent is likeable throughout and adds some comic relief. It’s good, not great, just good. It’s certainly not as good as ‘Fraulein Doktor’ (1969) which has a larger scale but there are similarities between them. So overall it gets a tepid recommendation from me. I’m struggling to write anything else about it because there wasn’t much that actually happened. If you want to watch a film abour Fraulein Doktor go for the other one.